LINDA SHEVLIN DISCUSSES M12’S (USA) WORK WITH ITS FOUNDER AND DIRECTOR, RICHARD SAXTON. 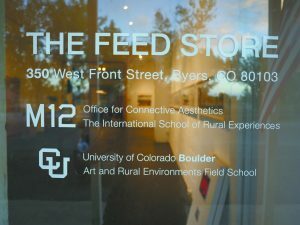 Linda Shevlin: Richard, since spending some time in September 2015 at M12’s base, The Feed Store, in Byers, Colorado, I’ve been curious about your relationship as a collective, not just to your surrounding community, but to the wider rural art community. Has this fixed, rural base intrinsically influenced the projects you undertake or do you harbour more nomadic tendencies in your methodology? Richard Saxton: The Feed Store is our base of operations in Byers, Colorado. It’s a wonderful old country main street structure, a false front. It is stout and exudes a deep feeling of rootedness. It seems like that building has always been there – whether in our town of Byers or any other small community like it on the American Plains. The Feed Store has been half burned down and rebuilt. It was once a post office, a grocery store, a bank, an auto mechanic’s shop, a pinto bean dry storage facility and a ranch supply shop. Now it’s our office and studio. It’s a nice lineage to be a part of. It’s a bit like what I talked about in the Decade of Country Hits book about being nomadic and firmly rooted at the same time. Situated in the present, comfortably within the past and future – that’s one way rural space operates for us. It has a deep pull from the root, the earth. Of course, for us and many people, rural space as an idea conjures up a strong relationship with rootedness, but we recognise fully how tentative and temporary that really is since it’s so close to us every day. A space like The Feed Store and absolutely the surrounding landscape (social, cultural, environmental and built) have a big impact on the work we make. It’s also a work in itself of course (The Feed Store), the building being a hub for lots of different modes of collaboration and creative inquiry. We can house groups of up to 15 people there. We run an experiential summer rural arts school, host potlucks, screenings, performances and of course guest artists, curators and researchers like yourself. 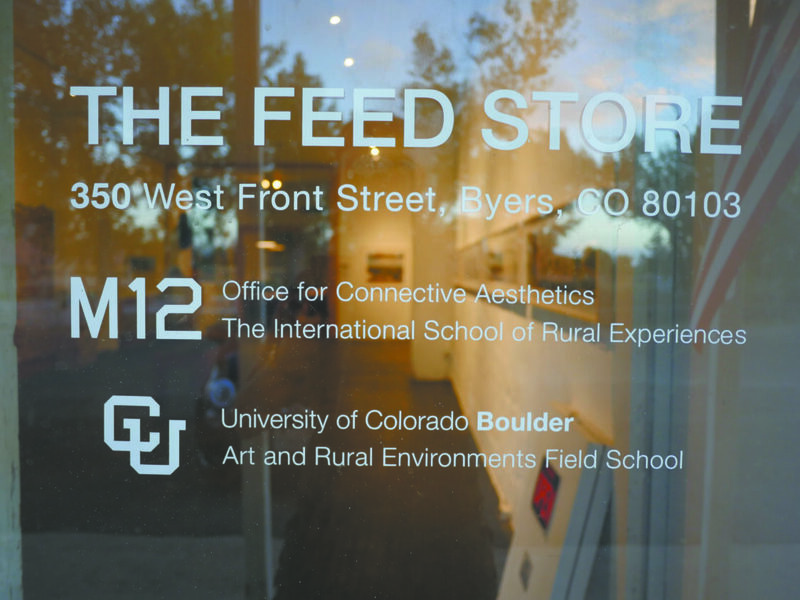 Beyond The Feed Store, our home terrain comes out in the many readily available themes of our region: imagery, the color palette, the textures and materials of the region all impact the work. The majority of the regional population, and especially urban folks, have little direct experience with this landscape. I think you can see a lot of the depth of the High Plains region through the projects we’ve taken on. LS: As a group your output ranges from experiential, one-off social events to social sculptures in gallery contexts. You’ve recently been commissioned to produce new work titled ‘The Breaking Ring’ for the Centre for Contemporary Arts in Santa Fe and have shown components of other projects in institutional situations too. How do you negotiate your relationship with these institutions in terms of how they represent work produced around rural issues? Do you select institutions who inherently understand M12’s ethos? Or do you think there is scope for a disruption in the programming of the more formal, culturally centred institutions in the form of non-commodified artworks? RS: We approach our exhibitions and commissioned projects collaboratively. We want to work with people and places that can think beyond pictures on the wall, and who are interested in extending the ideas of M12 as a collaborative experiment to their own spaces. So in the show you’re talking about it was important to work with curators that could ‘programme’ as a material of the project, not as a separate thing –like the art is over here and the programme for the public is over there. It’s all one thing. I guess my thinking is that, in the end, it’s important for us to work with larger institutions, even if I don’t like it. If the larger cultural narrative goes into the world written by urbanity, elitism and through the cult of personality, there has to be an antidote. Working in rural communities with small budgets, and through connective means, allows us to access a different type of practice. It’s slower, more collaborative, moves with the seasons and has a quieter presence. Those things seem needed to me right now. I see a lot of art or social practice, or my most disliked term, ‘creative place-making’, being done now – it’s a popular thing. Luckily there aren’t too many rural areas this new breed of art/urban planner has infected. But it’s coming. If we roll over and let the real estate developers (who are usually partners of or on the boards of these art institutions) write the narrative, the artists and real community will lose. Art is currently existing as a marketing tool. The system is totally absorbed by capitalism and the commodified system you’re talking about. So I think it’s important for us to work with larger institutions simply to provide that alternative perspective, or antidote, however you prefer. As of the turn of the century, the world’s population was about 75% rural and 25% urban. In just over 100 years we’ve completely reversed those numbers. That’s a really crazy time/space ratio. The arts are of course highly urban-centric in both funding and practice in the US. And as we continue to move towards these heavy urban-based conversations, I think it’s critical that we keep the rural, land-based, location-based perspective activated. LS: It’s interesting that you mention the rural/urban population reversal. We’re currently experiencing a major crisis in the housing rental market in our cities. Rent in Dublin is increasing exponentially while basic housing standards are barely being met in many of these properties. I’ve always thought artists are ideal candidates for the bucolic life, as the cost of living is generally lower than in cities, the pull of the commercial world is marginally less prevalent and spaces to work and live are abundant. We have some infrastructural issues, obviously, but with investment in basic services in rural towns I think cultural initiatives and building arts communities could break the cycle of depopulation. 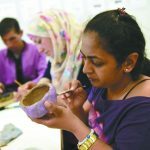 Are there any initiatives in the US that support and build communities around the arts in rural locations? RS: Well, there are, but I don’t really know all that much about them. More often than not I see those types of initiatives in the US breed one of two things. First, either a craft or hobby artist kind of community. It’s usually painters, which is great, all forms are needed. And, you know, a blacksmith shop or the plein air painter and their studio/gallery kind of thing. It’s mostly for the tourists. The second, and I think the more critical type, are the larger, funded ones. I was just talking about this with another writer the other day. We have this monster of a thing now, ‘creative placemaking’ in the US; it’s huge. Funders are all lined up behind it. It seems to make everyone feel good. Artists get seduced by ‘support to make work‘ and ‘help develop small communities or neighbourhoods’. Here’s the catch: nobody is supporting artists to actually own that property so that they can build a sustainable ‘place’. More often than not, the developers have already knocked down whatever culture and place there was before launching their ‘place making’ project. The whole idea is that artists build the ‘place’. Well, in the early 2000s an artist friend of mine lived in one of these types of artist/place-based buildings and I would visit often. That place was humming with artists and musicians at the time; there was a coffee shop, a bar, and it was gritty. The artists all loved it and fixed up their lofts, and I’m sure made a lot of good work. I recently visited there and you know what there are about 10 artists living there – the ones that have gotten older and can’t move anywhere else. The place is now outrageously expensive and no emerging artist could ever live there. They are now ‘lifestyle lofts’ for the business sector. So, here’s the deal: if you want to support artists and the community, do it. Don’t simply recognise artists as a convenient method for further gentrifying areas. Who paid for the rent, upkeep and bettering of those live/work spaces and the surrounding community for the last 20 years? The artists did. And where are the artists now? Pushed out, some having to go to low-income housing situations without any studios. That’s not place making and it’s not supporting the arts. It’s capitalism and real estate development using the arts as bait. LS: M12, along with other US rural practitioners, have been gaining national and international recognition for their projects over the last decade or so. 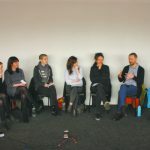 You were recently invited by Lucy Lippard to participate in one of a series of panel discussions organised by her during her time in residence at the University of Wyoming Art Department. How did this invitation come about? Lucy has been a great supporter of our work over the last several years. She is someone who really believes in place and integrity. 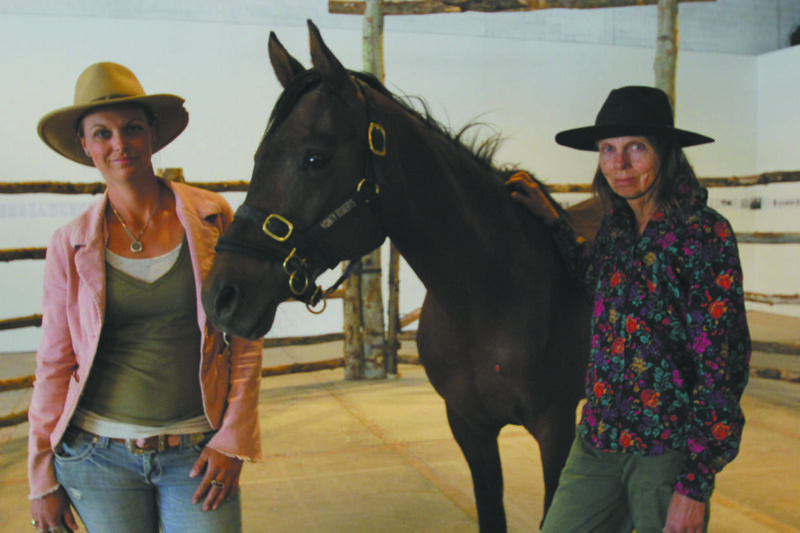 Kirsten Stoltz, who was our programmer for four years also worked with Lucy on a project about art and climate change, and Kirsten had lived in Santa Fe for years, so they might have gotten to know each other there as well. You know, that whole New Mexico draw is really interesting. That’s a place where I think a lot of people are sensitive to the issues we’re talking about. Two years ago we participated in a project through the Santa Fe Art Institute. We were looking at wild horse issues in the American West and drawing an arch from the image of the romantic wild horse to the slaughtering of horses for food production, making connections through various means. We made a book and vinyl record about it called An Equine Anthology. 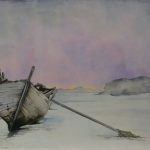 You know Lucy’s work is also somewhat about drawing connections through seemingly disparate sources. I imagine inviting all of us was a natural extension of her writing. 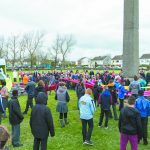 LS: Your comments about ‘placemaking’ are really interesting, as public art and projects that involve a level of participation from communities can be misappropriated for this purpose. The expectations and perceived outcomes can often be linked to a notional idea that art can gentrify or drastically change communities. It can, of course, to some degree, but the investment doesn’t always equal the expectation and, as you’ve said, the artist or their livelihood isn’t always fully considered in these transactions. In some ways change and how art can facilitate change, is tied to the people and place you work with. For us, we’ve worked in a number of different communities and I think all of them have experienced change in some way through the projects we’ve initiated. 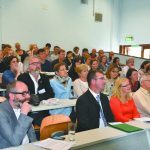 But, that said, change is something we think of as being constant – rural communities are in so much flux these days – so good change, or bad change, or lasting change, or systematic change, that might be something to explore further. Too often it seems that as a larger social being we’re moving away from a collective awareness, away from the small, intimate and poetic; away from being a supportive and sustainable species. I think in our projects we are trying to get closer to an idea of elemental awareness that exists outside of the city, both for ourselves and for those who engage with our work. We see our practice as a series of connections, much like an aesthetic network or terminal with many ideas, people and experiences interfacing. Maybe you can get closer to change the further down the road you’re willing to drive. Richard Saxton is an artist and educator, currently an Associate Professor at the University of Colorado at Boulder. He is the founder and director of the M12 Collective, an interdisciplinary group based on the High Plains in Colorado, USA.